Now his car accident lawsuit, filed in Florida’s Ninth Judicial Circuit, alleges severe permanent injuries, including a fractured vertebrae. In a written statement, a company spokesperson indicated the automaker has no reason to believe the feature somehow failed, stressing that when Autopilot is engaged, it is still the driver’s duty to stay alert to their surroundings and “in control of the vehicle at all times.” The company insists it has never advertised the feature as a fully autonomous system and never promised that Autopilot would make the car crash-free. Prior to using Autopilot for the first time, drivers are required to watch the road and keep their hands on the wheel. 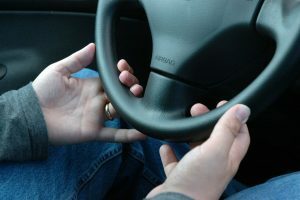 If a driver goes more than a few seconds without their hand on the wheel, a warning bell starts to ding. This is only the most recent of crashes wherein Autopilot-activated cars have collided with stopped vehicles. Our Orlando car accident lawyers note that this probably has more than a little to do with a known flaw in the system, one indicated in the manufacturer’s guide, indicating that the cruise control feature can’t detect every object and it might not brake for objects that aren’t moving – especially if the vehicle is driven faster than 80 mph and another vehicle ahead of you moves out of that lane of travel, leaving the stationary object in front of you instead. Other similar “self-driving” systems made by different manufacturers have (quite literally) run into the same issue. Manufacturers say this was somewhat unavoidable because engineers wanted to put the kibosh on false positives – which on a highway especially can also be incredibly dangerous. This isn’t the first time makers of “self-driving” cars have been accused of essentially overselling the feature and failing to address what is clearly a disconnect between what people thinks the car does and what it actually does. Plaintiff in this injury lawsuit alleges a Tesla salesperson told him the upgraded autopilot had the ability to drive itself from A to B with “minimal user input or oversight.” But the machine has major blind spots, which is why it’s essential for people to stay on alert at all times. Tesla reportedly sold nearly 84,000 cars just in the third quarter of this year – more than in all of 2016. The Autopilot was hands-down the most popular feature.